The art of the jeweler is entirely with the desires of the heart. In this blog we present 10 standout creations that raise the bar for the entire trade. Designed by award-winning industrial designer Marc Newson, the Julia necklace is inspired by the world of fractal geometry and named after French mathematician Gaston Julia. 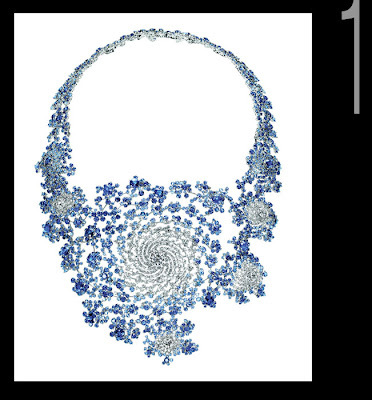 Featuring some 2,000 paved diamonds and sapphires set in white gold, it weighs only 260 grams and took Boucheron craftsmen more than 1,500 hours to create. 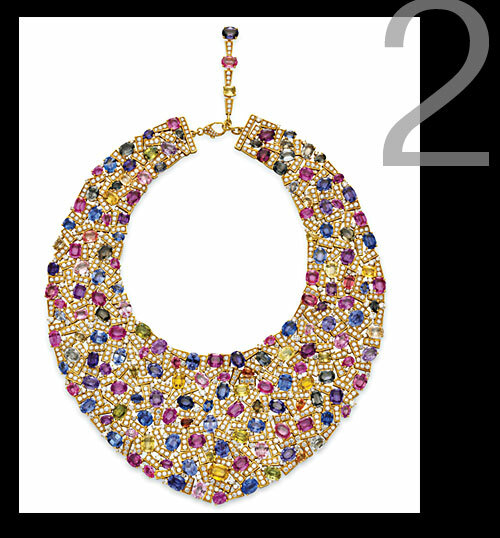 The necklace is made of 951 brilliant-cut diamonds and 169 multi-colored sapphires of different shapes totalling 400 carats. It is among 11 one-of-a-kind jewellery pieces and seven limited-edition timepieces by Bvlgari sold at Christie's New York in December. This stunning necklace is part of Cartier's Inde Mysterieuse high jewellery collection, and it is inspired by the culture of Indian jewellery. 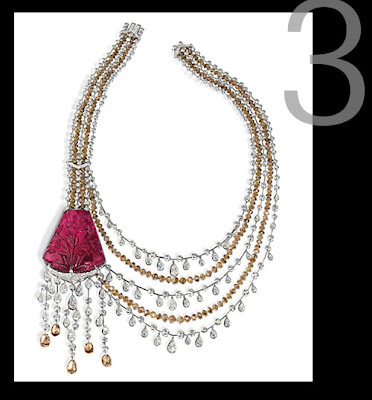 It features an engraved tourmaline of 136 carats along with brown diamonds, briolette-cut diamonds and diamond beads. 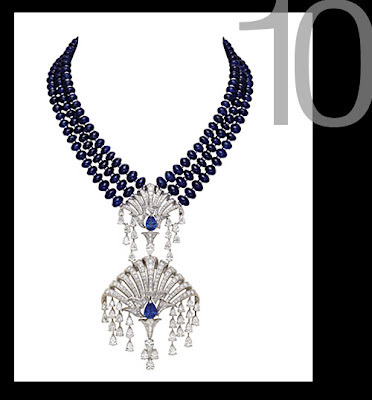 This diamond and sapphire necklace is one of 62 one-of-a-kind pieces from Chopard's 2009 Red Carpet collection. It is crafted from round sapphires and brilliant-cut diamonds totaling 25 carats suspended by 31 pear-shaped sapphires of 34 carats. 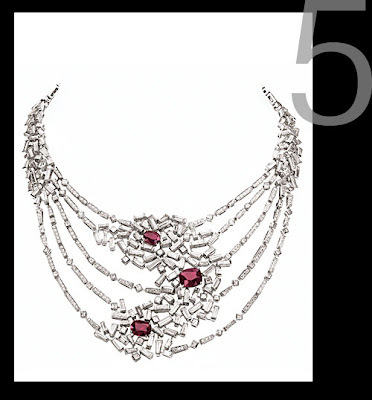 Inspired by the bold and extreme emotions representing love at first sight, Le Grand Frisson necklace is set with three cushion-cut pigeon-blood rubies totalling 15 carats and 520 diamonds weighing more than 50 carats. The Lesotho Promise necklace comes from a 603-carat rough diamond – the 15th largest diamond ever discovered in the world and it found at the Letseng Diamond Mine in Lesotho, a kingdom surrounded by South Africa. It features 26 gems meticulously cut from the rough stone. 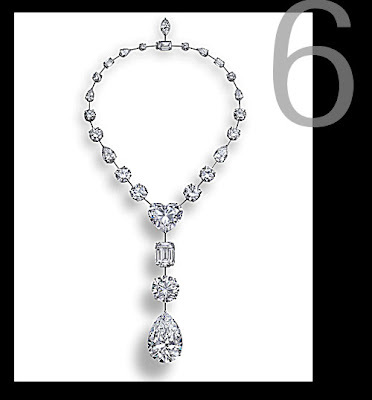 The total carat weight of this masterpiece is 223.35 carats. Inspired by American sailor tattoos from the 1920s to 1950s, Harry Winston has created a limited collection of one-off brooches featuring hearts, flowers and daggers. 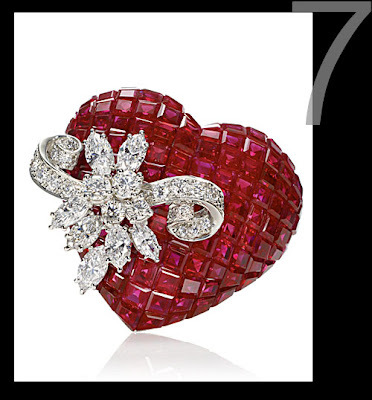 This Tattoo collection heart-shaped ruby brooch with diamond blossoms has 132 rubies of almost 55 carats and diamonds of more than four carats. Look closely at the central oval-cut tourmaline on this Limelight Paradise necklace by Piaget. Next, do the same with the Limelight Paradise ring’s cushion-cut aquamarine. In both cases, the transparency of the stones is amplified by the diamond setting. 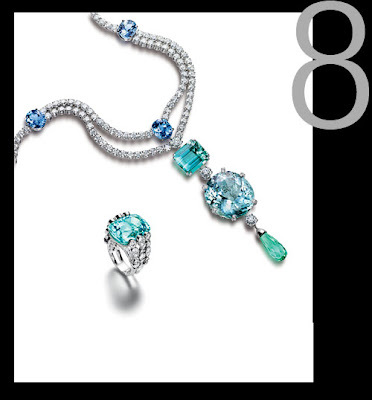 Both necklace and ring are in 18 carat white gold and were inspired by the natural world, specifically the lagoon. 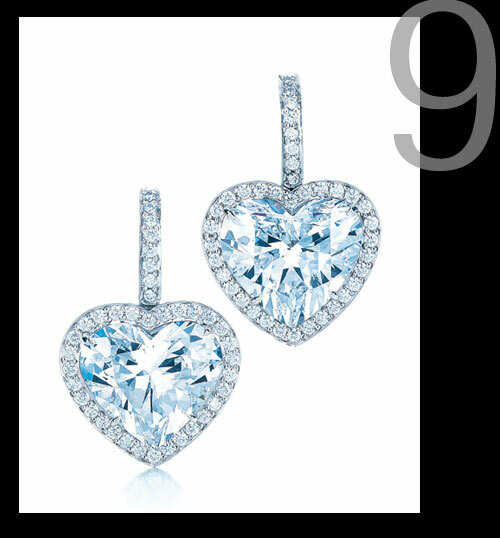 Each heart-shaped diamond in this pair of earrings is internally flawless. They are surrounded by 76 round diamonds, set in platinum and weigh 10.03 carats. Inspired by the French garden, the extraordinary Vicomte necklace features three rows of sapphire beads symbolising the flowing water of fountains, which are represented by two diamond motifs including two pear-shaped sapphires of more than 8.27 carats. 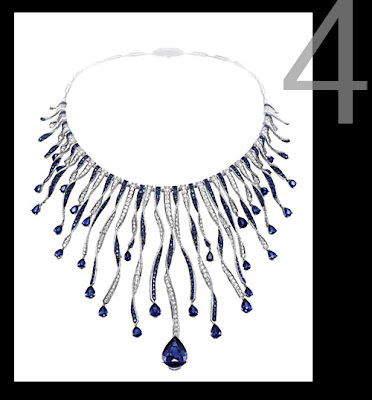 The 211 sapphire beads weigh almost 450 carats.